I’d lie if I said I don´t miss my land. Sometimes we don´t appreciate the everyday things around us and we have to take distance to see things into perspective. Malaga is well known for its beaches, in fact, we have 161 km of coastline called “Coast of the Sun“, but we are also the most mountainous province of Spain; actually, 32% of the land is between 600 and 2000 meters. Thanks to this geography, you can take a sunbath in a quite beach or you can do trekking at 2000 meters above sea level with only 30 kms between a place and the other. Regarding the gastronomy, due to the charasteristics of the zone, we have a great variety of meals. 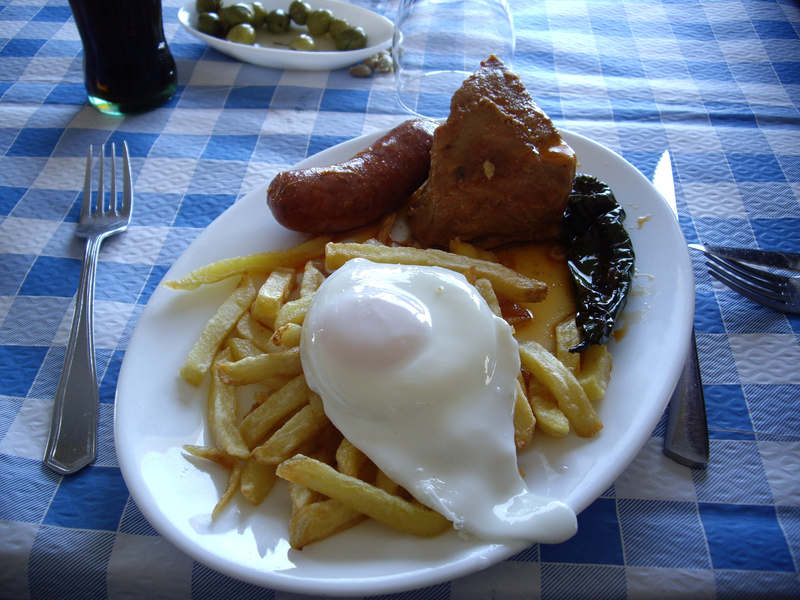 On the inside of the province you can taste meats of wild boar, goat, rabbit… and the most typical dish in the mountains is the “Plato de los montes” (dish of the mountains) made up of pork products, that tends to be loin in lard, with a couple of eggs and chips, everything served in a large platter. It can also have chorizo, morcilla and a couple of garlics in the olive oil. Other typical dishes are the snails, the roasted suckling piglet, the stuffed sirloin, roasted shoulder of baby lamb. Obviously the gastronomy of the Costa del Sol is heavenly influenced by the popular Mediterranean diet. 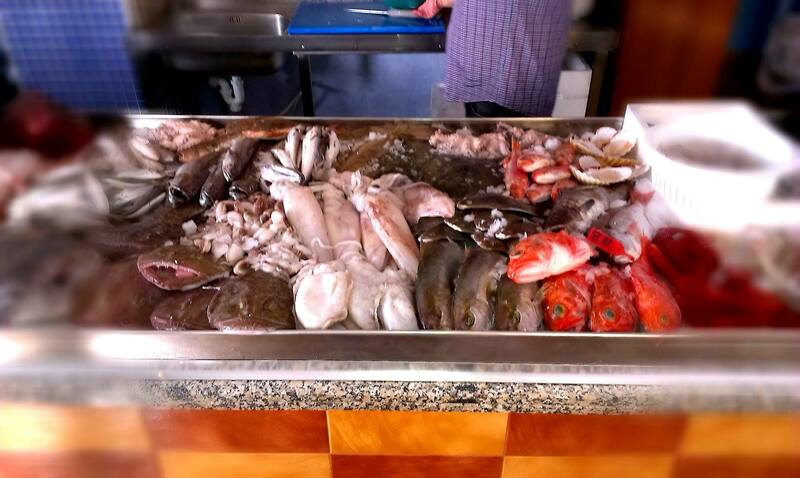 Fresh fish, vegetables, legumes, fruits, good olive oil and excellent wines represent the food from the Costa del Sol. After a number of foreigners settled down along the coastline during the last years, also the regional were influenced. The most traditional in Vélez-Málaga (my town) specialties are berzas (a cabbage dish with green beans, potatoes, chickpeas, aubergine, squash and meat), ajoblanco (a cold soup), ajobacalao (codfish and garlic dish), as well as sopa de maimones (a soup made with bread and olive oil and other ingredients), gazpacho (a cold soup) and chambao (made with diced tomatoes, peppers, onions and cucumbers and a quantity of olive oil) or “ensalada cateta” (country salad). Mostachones (a pastry containing pine nuts) and tortas de aceite (olive oil cakes) are the most notable pastries. It should not be forgotten that tropical fruits (mangos, custard apple, papayas and avocadoes) are some of the main products of this municipality and the visitor is advised to sample these fruits. One of the most typical dish is the “Pescaito frito” (fried fish): It is made by coating the fish (blue or white fish) in flour and deep fried in olive oil then sprinkled with salt as the only seasoning. It is usually served hot, freshly fried, and can be eaten as an appetizer (for example with a beer or wine), or main course. Usually, it is served with fresh lemon, which is squeezed over the fish. We have a great variety of fishes like “chanquete” (Transparent goby), salmonete (Striped red mullet), “boquerón” (European anchovy), “pijota” (hake), “cazón” (School shark)… and seafood like “calamares” (squid), “jibia” (Cuttlefish), “pulpo” (octopus). 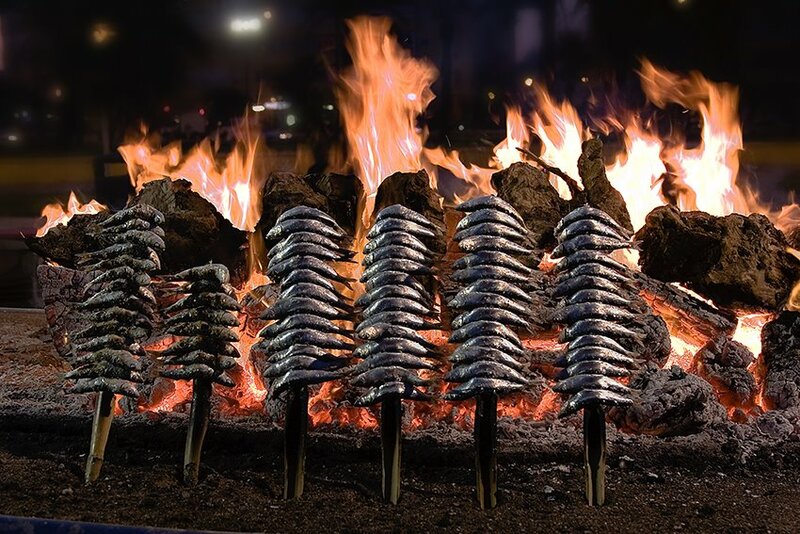 But the most appreciated dish is with no doubt the “Espeto de sardinas” (sardines on a stick): So many restaurants serve freshly caught sardines, grilled in front of your eyes. Often cooked on an old fishing boat berthed in the sand and located in front of the restaurant. It is about more than novelty value or a gimmick to attract tourists. It is about tradition. As is the way the sardines are cooked and served. For so many years skewered on wooden cane sticks. But now there has been some controversy over whether or not these cane skewers are a health concern. The best place to taste this fish dishes is without doubt the “Chiringuitos” (local bars based by the beach) are a oasis for these warm days in summer, where you also can take a local beer (like San Miguel or Victoria), or a refreshing “Tinto de verano” (summer red wine, it´s a mix of wine with gaseosa or lemon soda) or “Sangría” (It normally consists of wine, chopped fruit, a sweetener, and a small amount of added brandy). 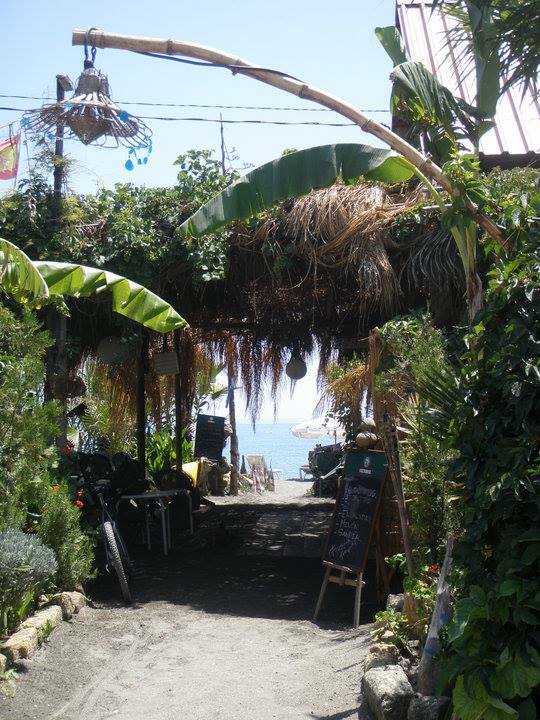 I have my favourite “chiringuito” where I try to spend the most part of my summer days: “El Hornillero” is sited in one of the few remaining unspoiled beaches along our coastline. Besides, is built with natural materials and surrounded by native vegetation… and all the vegetal admixtures they use for their recipes are collected by them in their own ecological orchards. This is only a brief summary about the gastronomy (I could write about the sugarcane honey, the “moscatel” grape and the sweet wine we make with this variety of sweet grape…) so you can imagine how many things you can discover if you come here. There are thousand of things I can tell you about: culture and art, history, curiosities and secrets, weather… but that will be another day.